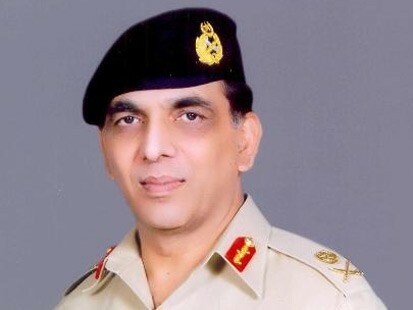 Home » At TMV » General Kayani: USA’s New ‘Poster Boy’ In Pakistan? General Kayani: USA’s New ‘Poster Boy’ In Pakistan? For years General Pervez Musharraf appeared as the sole ‘saviour’ of Pakistan…that is, if one relied on the statements appearing in the American media quoting, among others, the big chief presiding at the White House. Poor Musharraf must be ruing the day when he decided to shed his military uniform for an ‘assured’ term of five years as Pakistan’s president. (Remember…Once he said that his uniform was as important to him as his skin!!!). Now the spotlight has turned towards General Ashfaq Parvez Kayani, who became Army chief when Musharraf stepped down from that post in November last year. (Didn’t Musharraf know that the big/macho guys in Washington prefer a man in uniform than in an ordinary civilian suit in Pakistan?) …Or, is it that clever Musharraf playing some other game again to hide from the nation’s opposition, and world leaders, ire following his botched plans to stifle democracy? “In recent weeks a steady parade of top-level U.S. officials have visited General Kayani to make up their own minds about him. Most — including CIA chief Michael Hayden, National Intelligence Director Mike McConnell and CENTCOM commander Adm. William Fallon — have come away confident that Kayani knows what he’s doing,” reports the Newsweek magazine. This despite the fact that before becoming the Army chief, Gen. Kayani headed the controversial spy agency, the ISI, which has alleged links with militants and terrorist outfits. However, some military analysts in India admire Gen. Kayani for the simple reason that terrorist forays into the Indian part of Kashmir came down substantially after he took over charge of the ISI in 2004. Pakistan goes to polls on February 18 to elect federal and regional parliamentary members. And General Kayani has begun to act…“The new army chief of Pakistan has ordered the withdrawal of military officers from the government’s civil departments, officials said Tuesday, an action that reverses an important policy of his predecessor, President Pervez Musharraf. The order by Gen. Ashfaq Parvez Kayani was his boldest step to disentangle the military from the civilian sphere of the government since he assumed the post after Mr. Musharraf stepped down as military chief in November. “As army chief, General Kayani has moved gradually to separate the military from civil affairs and politics, ending an unpopular policy of Mr. Musharraf, who had moved the military into running Pakistan’s affairs since taking power in a coup in 1999. Does Musharraf fear the forthcoming parliamentary elections in Pakistan? “Intrinsically, he is gripped with ‘fear’ ahead of the February 18 general elections to the National Assembly and four Provincial Assemblies. These much-awaited elections are very crucial for Pakistan’s survival. It will also serve as a litmus test for Musharraf’s ability to handle the situation, which is fraught with dangerous consequences. The elections, which according to political Pandits will not be free, fair and transparent, as desired, will decide about his future that seems to be bleak. Musharraf is on tenterhooks,” says Asian Tribune. “There is a lot of excitement in Islamabad that Musharraf might ‘quit’ if poll verdict goes in favour of the opposition parties—that is likely to happen—like the Pakistan People’s Party (PPP), the Pakistan Muslim League (Nawaz) and other like-minded parties, which want ‘true democracy’. Obviously, Musharraf knows the game plan and is scared of the political retribution, for his acts of omission and commission. The Asia Times reports: “A wave of democratic transitions will sweep South Asia this year as three countries – Bangladesh, Nepal, Pakistan – will be reverting to democratic rule while two nations – Bhutan and the Maldives – undergo the democratic process for the first time in their histories. All eyes will be on Pakistan’s parliamentary elections on February 18, which will be the first since President Pervez Musharraf stepped down as chief of army staff before being sworn in for a second term as president last December. “Despite Bhutto’s death and Sharif’s ban from standing in the elections due to pending criminal charges, both of their parties – the Pakistan People’s Party (PPP) and Pakistan Muslim League-Nawaz (PML-N) – are likely to perform well, fueled by widespread support and sympathy votes from Bhutto’s assassination. “Nonetheless, Bhutto’s death has left a void in Pakistani politics. Despite her legacy of corruption and two terms of turbulent rule, Bhutto represented a pro-Western, secular alternative to rule by the military or mullahs.